Climate change affects each one of us, and each one of us can play a role in reducing its impacts. Make sure that lights are turned off in empty rooms. Turn off computer monitors and make sure computers are put to sleep. Make sure window curtains are closed at the end of the day. Make sure doors going outside and windows are closed. Find out what your school can recycle and help out. Reuse paper and other products when possible. Learn about how the environment works, and how people and our activities fit into the system. Learn about what the best environmental practices are for your school. 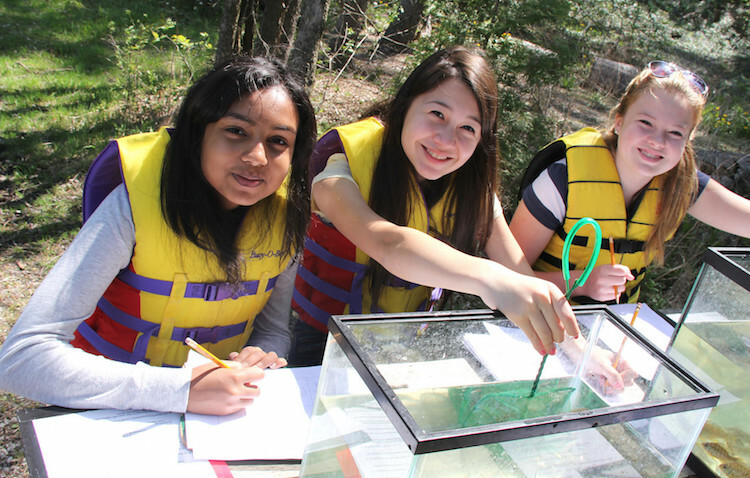 Join an environmental group at your school, or start one yourself! Make a list of what you are already doing to reduce your impact, then think about what else you could do to reduce it even further. Become a Volunteer at TRCA: Toronto and Region Conservation is always looking for volunteers to assist in conserving, protecting and increasing environmental awareness. 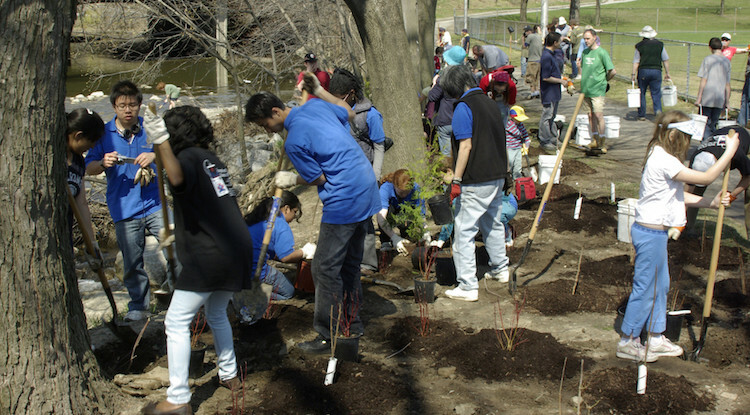 Also, TRCA hosts many tree planting and clean-up events for you to participate in. This is your chance to show your commitment to aiding the environment. View volunteer opportunities. 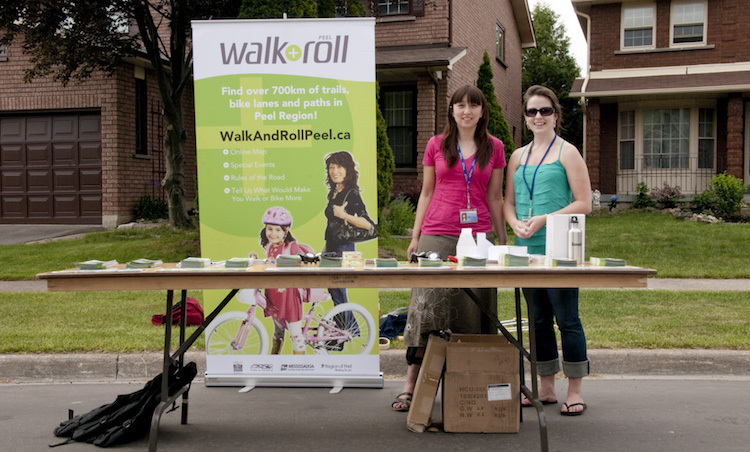 Community Stewardship: There are numerous stewardship groups throughout the GTA that share a passion for environmental conservation and protection, and host environment-focused events. LEARN MORE. Become educated about what it means to be sustainable. Consider the things you are doing already, and brainstorm new efforts! Get involved in green community initiatives. Purchase electricity from a renewable energy source, and reduce your use of electricity whenever possible. Use public transit and much as possible, but if you must drive, use a fuel efficient vehicle. Remember that clean water requires processing, which uses electricity. Conserve water use by running the taps less, installing aerators, and using low-flow toilets. 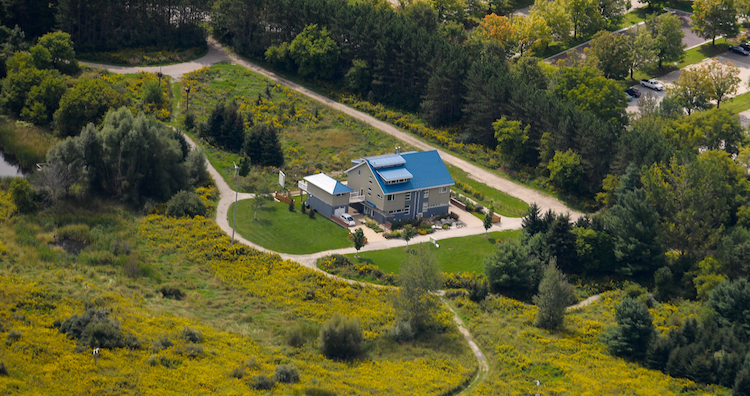 Improve the energy efficiency of your home by reducing drafts, installing awning, and planting trees. Many businesses and industries still rely on energy-inefficient technologies. With advancements in clean tech, there are many opportunities to become more eco-friendly. Toronto and Region Conservation manages a variety of programs and initiatives geared toward helping assist businesses green their operations. Carbon Competitive Cities: The dynamic, healthy and sustainable cities of tomorrow require brave leadership and coherent strategies today. Climate change management needs to become systemic in city planning, embedded in the decision-making process, and municipalities need to capitalize on their capacity for innovation and implementation to transform the risks of climate change into opportunities for growth and prosperity. The TRCA is committed to assisting its member municipalities, and others, forge a new path that harmonizes environmental imperatives with economic goals and social values. LEARN MORE. Greening Health Care: Greening Health Care is the leading member-driven, performance-based, health care energy management collective in Canada. 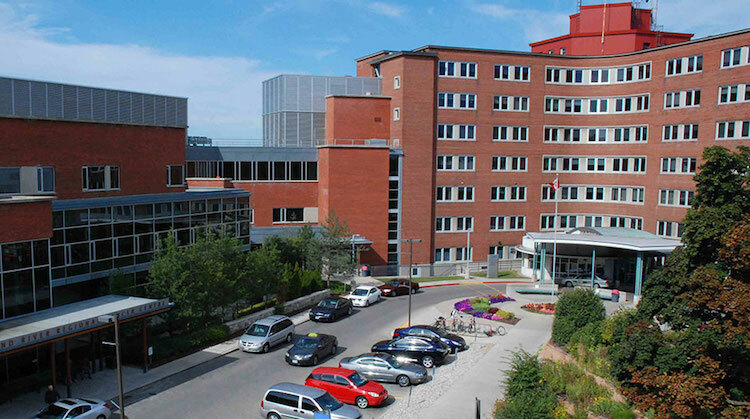 The program’s 44 hospital sites across Ontario are working together to improve energy and water efficiency and reduce solid waste generation. The program reduces costs, contributes to the health and well-being of communities and demonstrates the health care sector’s commitment to fiscal and environmental responsibility. LEARN MORE. Partners in Project Green: Partners in Project Green is a growing of community of businesses working together to green their bottom line. Through new forms of business to business collaboration, Partners in Project Green delivers programming that helps businesses reduce energy and resource costs, undercover new business opportunities. They host a wide variety of workshops and events for businesses to attend. LEARN MORE. 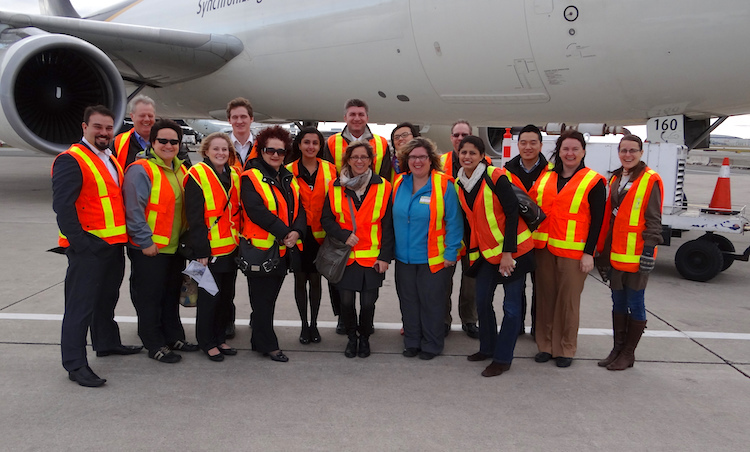 Sustainable Technologies Evaluation Program (STEP): STEP is a multi-agency program that was developed to provide data and analytical tools necessary to support broader implementation of sustainable technologies within Canada. There are numerous studies and reports on green technologies. Purchase energy efficient office equipment and appliances, such as Energy Star products. Do not over-light the office; this wastes energy and creates glare, which is unhealthily for employees. Install lighting controls and use sensor lighting in areas of infrequent use. Invest in communications technologies (i.e. video and web conferencing). This will reduce travel and improve the efficiency of employees. Encourage employees to reduce their environmental impact by taking public transit, car-pooling, walking or biking to work. Keep blinds closed in the summer and open in the winter; this will help regulate the interior temperature by controlling how much sunlight enters your office. Create a recycling program that includes compost. Emphasize to employees the importance of reducing paper use. Ensure that fleet vehicles are the most energy efficient models available, and keep them maintained to ensure their efficiency. Upgrade the infrastructure of your office building with energy efficient retrofits.